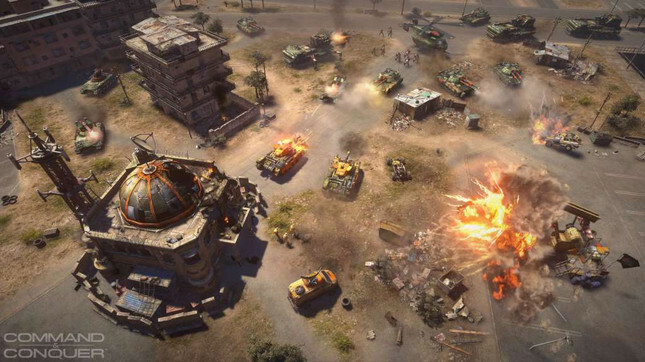 If the reveal of Command & Conquer's mobile game Rivals left you unenthusiastic, don't worry – it seems EA has noticed, and has something in the works for the franchise's die-hard fans. A recent Reddit post from EA producer Jim Vessella hints at an upcoming remaster. "Following the reveal of Rivals, we heard you loud and clear: the Command & Conquer community also wants to see the franchise return to PC," Vessella wrote. "We’ve been exploring some exciting ideas regarding remastering the classic PC games, and already have the ball rolling on our first effort to celebrate the upcoming 25th Year Anniversary." While details are incredibly scarce at this point, Vessella did confirm that his team will not be adding any microtransactions to the remaster. Vessella's worked in the production team on Command & Conquer 3 and Red Alert 3, so it feels like the project is in good hands. While not an AMA, Vessella responded to a number of questions, indicating that his team are receptive to input from the community regarding how the remasters should be handled. While this is great to see, it also indicates that the project is likely in the very early stages. Plus, given the first Command & Conquer released in 1995 there's over a year before we're celebrating a 25th anniversary. That's absolutely fine though – I'd much rather wait to play a good remaster than see a bad one ship sooner.